Everyone loves the look of a beautiful home. While we go through many ordeals to keep the interiors of our houses beautiful and welcoming, we often tend to ignore the maintenance of the exteriors of our properties. While yearly paint jobs and fixing of the plumbing, landscaping the garden etc. are something that does not require much money, when it comes to fixing the wear and tear of the driveway, it can leave you bereft financially which is why we often tend to ignore the cracks and holes forming in the driveway due to regular wear and tear. While this may not pose a serious threat initially, turning a blind eye towards the deterioration of the driveway can cause many harmful effects, especially if it encourages the chances of accidents. This is why driveway resurfacing is an important aspect of maintaining a house. Furthermore, the initial deterioration can lead to more serious degradation, which can prove costly if not treated early. So driveway resurfacing can be an important step not just to help you prevent accidents but can also help prevent a costly replacement of the whole drive later down the line. Here at Driveways Manchester we can assist in the resurfacing of your drive to help you keep your exterior appeal in check. Why Does A Driveway Deteriorate? Like any man-made thing or natural things, everything has a life expectancy and the same goes for the driveway of the house as well. A driveway is the path that leads you to the main door of the house. Usually connecting the garage, a driveway is made up of concrete materials because of its requirements to be steady and solid. Due to the natural elements like pollution, wind, harsh weather , rain and sleet combined with the heavy weight of cars and other vehicles on the driveway, it can cause normal wear and tear on the driveway over the years resulting in small cracks and holes. If not taken care of at the time of small wear and tear, it can lead to bigger pot holes which may get filled with water during the rains and not only create an ugly look for the house but can also be detrimental to the maintenance of the car causing tire bursts and increasing the chances of accidents. What Is The Process Of Resurfacing A Driveway? Initially Driveway Resurfacing was meant to be a costly expenditure as it involved tearing apart and creating a new driveway or filling in holes and cracks with concrete which could lead to ugly marks on the driveway. But with technological advancements, companies like Driveways Manchester are now offering special concrete mixtures that do not take longer than 24 hours to fix the driveway without giving them ugly patches. This is not only easy to use but it also reduces the original cost of driveway resurfacing by fifty percent. 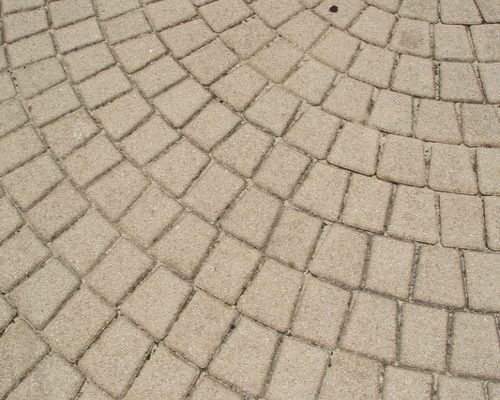 Driveways can be easily resurfaced at home by simply mixing the concrete mixture and filling holes and cracks using special equipment available in the market or if you do not feel up to the job, you can always hire a specialist to fix your driveway. Driveway resurfacing is an important part of house maintenance not just to maintain the beauty of the house but also to make sure that you arrive and leave home safely, not to mention the added wear and tear on your car due to a worn driveway.